See more objects with the color sienna darkkhaki grey darkolivegreen palegoldenrod or see all the colors for this object. This is a Mount. It is dated ca. 1810 and we acquired it in 1904. Its medium is stamped, cast and chased gilt-bronze. It is a part of the Product Design and Decorative Arts department. 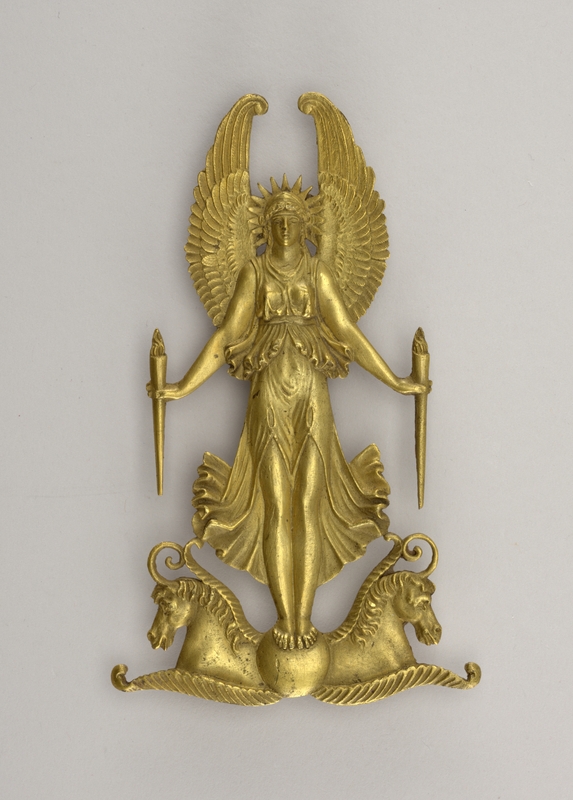 The makers of gilt bronze created furniture mounts whose motifs and figures often duplicated those found on table decorations and the gilt wood architectural decoration of the room. The primary function of such mounts was to enhance the piece of furniture and to reflect light from windows, mirrors, and candles to enliven interiors.